A/V localization is a complex challenge. It’s hard to keep up with real-time changes in distribution channels and market preferences. It’s tough to get it to market quickly. And costs can quickly add up. What’s worse, when it comes to A/V localization, the industry is suffering from old-school thinking and outdated localization processes. 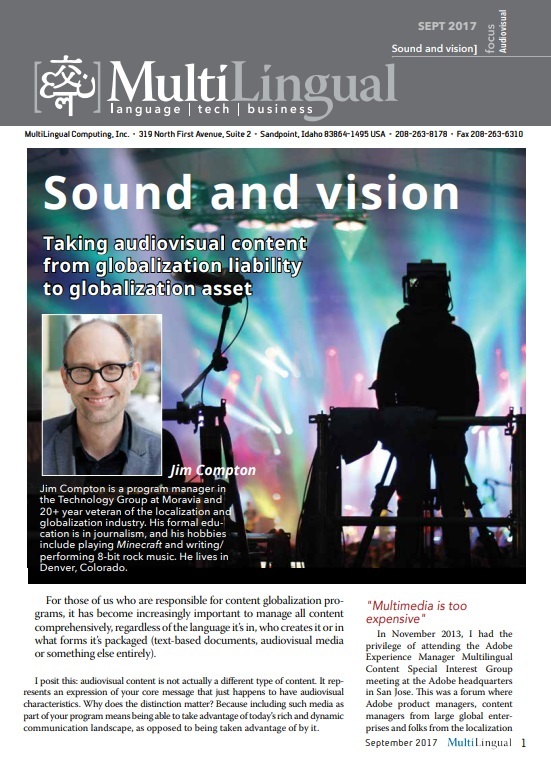 Download our article and start thinking about your A/V content in an all new way.